“Elite Emissions: How the Homes of the Wealthiest New Yorkers Help Drive Climate Change” is a new report from Climate Works for All, a project of advocacy group ALIGN. As 6sqft has previously reported, New York City is expected to be hotter, rainier, and severely underwater in the future, and this new study points to luxury buildings as one of the main culprits. 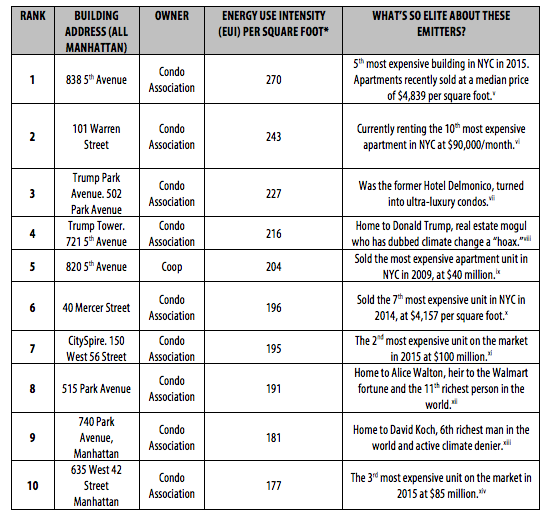 As first explained by Curbed, “The group looked at the Forbes Billionaire List, then Business Insider’s 20 Most Expensive Buildings in New York City list, and cross-referenced this information with the city’s Energy Benchmarking data.” They then drew up a list of the top ten offenders, all of which received an F for energy efficiency. 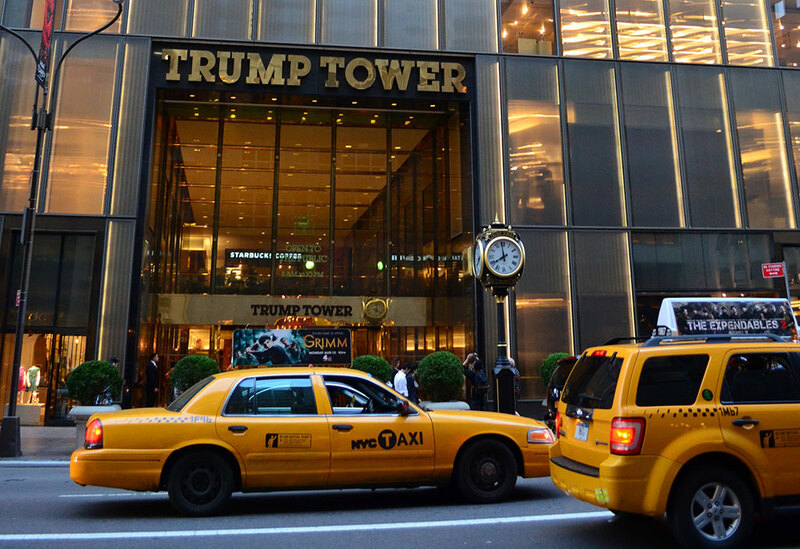 Leading the pack is 838 Fifth Avenue, followed by 101 Warren Street, Trump Park Avenue, and Trump Tower, respectively. The report states that “a mere two percent of the city’s one million buildings use 45% of all of the city’s energy” and that 70 percent of all greenhouse gas emissions in the city come from buildings. It points to amenities like heated indoor pools and private gyms and performance rooms. In addition to Mr. Trump, Climate Works for All notes that David Koch, “6th richest man in the world and active climate denier,” lives at ninth-worst offender 740 Park Avenue, and Alice Walton, “heir to the Walmart fortune and the 11th richest person in the world,” lives at eighth worst offender 515 Park Avenue. To put the ratings into perspective, an Energy Use Intensity (EUI) score (this basically measures energy use per square foot) of over 206 lands a building in the 90th percentile for worst emitters for multi-family residential buildings. The report does advocate for the mayor’s greenhouse gas plan, which seeks to cut emissions 80 percent by 2050, but as many components to the plan are voluntary, also stresses programs that require efficiency in large buildings such as the Passive House standard and Zero Net Energy standard.